Farm gate & Field gate Hardware, Double & Single Strap Hinges, Latches & Gate Hangers with a durable corrosion and rust resistant Hot Dipped Galvanized (HDG) or Black Polyester Powder Coat over HDG finish. Traditional designs for Gate Hardware and Door Hardware provide functional gate hardware for all your garden, field and garage gates. 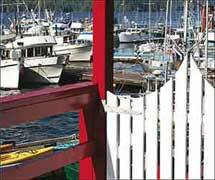 Made from steel, aluminum and stainless steel in European inspired designs and available in Hot Dipped Galvanized and Black Polyester Powder Coat over hot dipped Galvanized (BPPCG) finishes for maximum corrosion protection. Farm Gate & Field Gate Hardware. 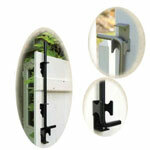 Traditional, Contemporary, Fieldgate/Farmgate, & Stainless Steel Gate Hardware. Grade 304 & 316 Stainless Steel Hardware. All stainless steels have excellent anti-corrosion characteristics and are used in high salt & humidity locations such as marine and coastal. Marine Grade 316 is the ultimate for salt water use. Hinges, Latches & Cane Bolts in a choice of a brushed, matte stainless steel finish and also stainless steel with a black powder coat. Products are shipped from US & Canadian warehouses and are delivered without additional brokerage or other "surprise" costs. A full range of Gate Hardware made of Grade 304 or Marine Grade 316 Stainless Steel. Includes, Hinges, Latches, Gate Stops, Gate Springs, Cane Bolts and Handles. Again a range of Gate Hardware made for use with PVC Fencing includes TEK fasteners. Victorian Spiked and Traditional Landscape chain with a full range of accessories and attachments. Products are shipped from US & Canadian warehouses and are delivered without additional brokerage and other "surprise" costs. Traditional, Fieldgate/Farmgate, & Stainless Steel Gate Hardware. All stainless steels have excellent anti-corrosion characteristics and are used in high salt & humidity locations such as marine and coastal. Grade 316 is the ultimate for salt water use.